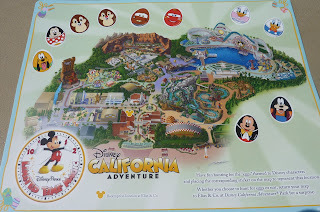 Laura's Miscellaneous Musings: Today at Disney California Adventure: Easter Egg Hunt! Today at Disney California Adventure: Easter Egg Hunt! This week Disney California Adventure has been sponsoring an "Easter Egg Hunt" as part of this year's Limited Time Magic promotion. We went out to the park this afternoon to enjoy the hunt on its last day. Participants purchase a map and stickers at Big Top Toys for $4.95. When you find an egg, the matching sticker is put in the correct spot on the map. 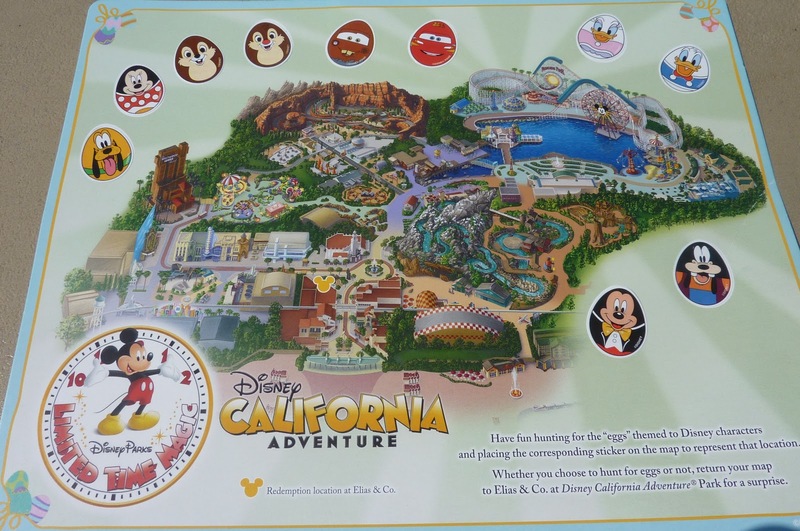 Once completed, the map can be turned in for a box with two Vinylmation keychains. Since today's the last day of the hunt, I'm going to assume anyone who's going to play is already out at the park and include photos of some of the egg locations. The hunt was quite simple but it was also a very pleasant way to get in our walk for the day, circling the park looking for the eggs! And it was great fun watching the excitement of some of the small children participating. It was a gorgeous afternoon! The next Limited Time Magic Easter event is the Spring Fling, which starts tomorrow, March 25th, and runs through Easter Sunday. There will be a different egg hunt, this time in the area of California Adventure's Redwood Creek Challenge Trail. Across the way at Disneyland, the Easter Bunny will be posing for photos on Main Street, U.S.A. I wasn't able to do this "experience" so thanks for posting about it. What was the gift at the end? - I think I heard it was a key chain. Nice photos as always. Hi Irene! I thought I answered this the other day but it looks like somehow it didn't post so trying again!